I thought you guys might love it too! 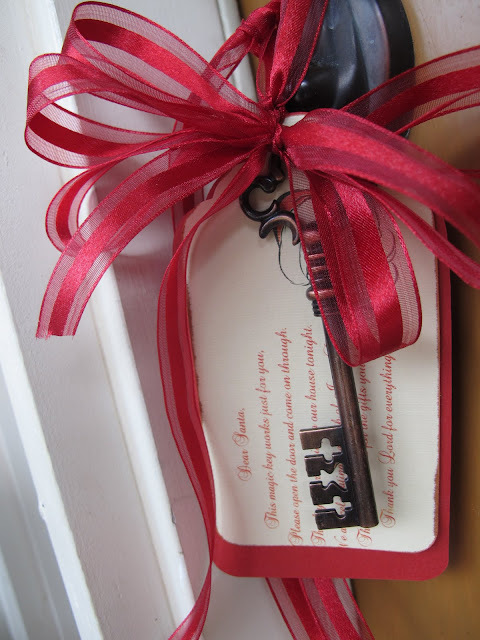 Such a sweet way to marry Santa and Jesus in your home! 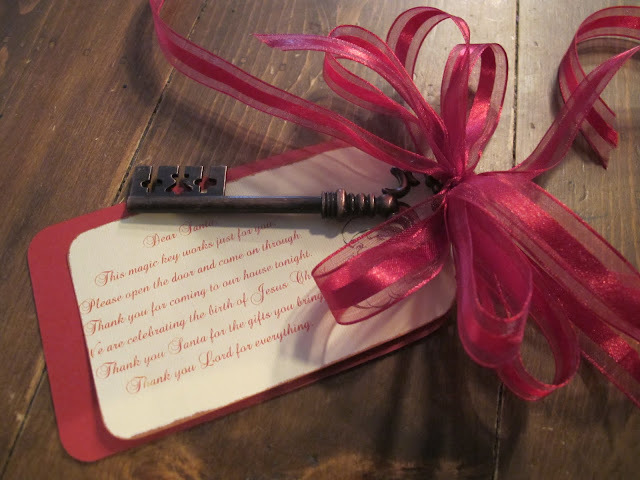 This magic key works just for you, Please open the door and come on through. Thank you for coming to our house tonight. We are celebrating the birth of Jesus Christ. Thank you Santa for the gifts you bring. Thank you Lord for everything. my MIL made this for us this year! i thought it was such a perfect way to bring it all together! she found the keys at Hobby Lobby and it turned out very cute!! Why not check out my Christmas Yankee Candle giveaway? I love this poem! A lot of my friends who do not have fireplaces use this for their kiddos!! Thank you, Shelli!!! I must do this, we don't have a chimney and this is perfect! Thanks for sharing! Fall Party- Purple Play Bus! Knife Pleated Bar Stool Slipcovers! Kitchen Progress- The Carpenter Came! Crib Bedding For The New Nursery!